Blue tiles border for adding a stylish touch to your bathroom or kitchen. 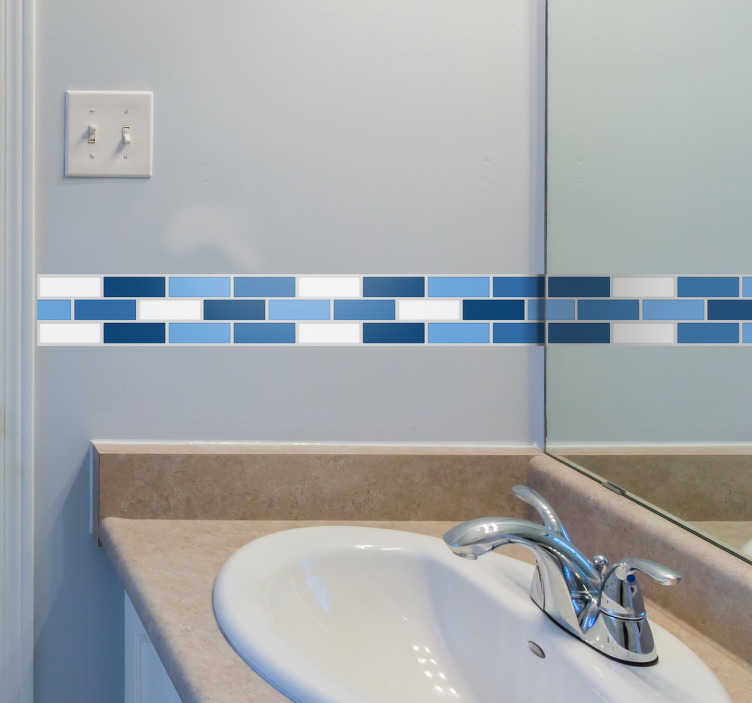 Nothing brings a room together like a simple tile border, use this blueish vinyl sticker put that finishing touch to your home decor in a way that looks sleek and high quality. This high quality vinyl adhesive is a much better option than regular tiles as they can placed wherever you want at whatever size you want for a fraction of the price!